When we were working on the Diwali day this year, it was decided to make Poori with Aloo Sabji for the employees as celebrations for the Diwali eve. My Bihari colleague who gave me the Thekua recipe was going on about the way they make aloo sabji for poori. She said they make it differently from what’s made here. 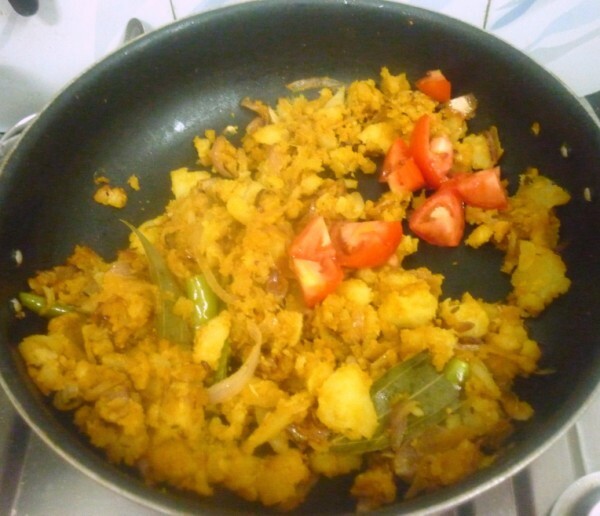 Though she likes it, she can’t forget the way the aloo sabji is made at her place. As a fitting punishment for bragging so much, we let her make it for us. Though the sabji was very much as how we make when we make potato for dals, it was indeed a delicious combination for Poori. We are not used to making dry sabji for pooris. However trust me, not a single morsel of either the poori nor the sabji was left out. 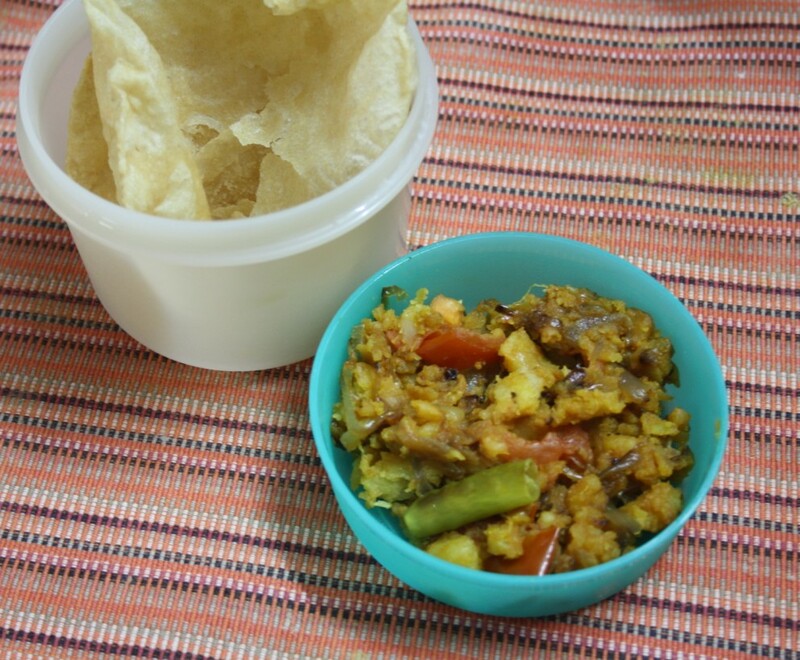 Back home, knowing that Konda loves poori, I asked her if she would like it for her lunch. She jumped jubilantly saying I must pack for her friends as well. When she came back home, she was so much in praise of this combination and declared that from next time on, this is what she would want for a combination. 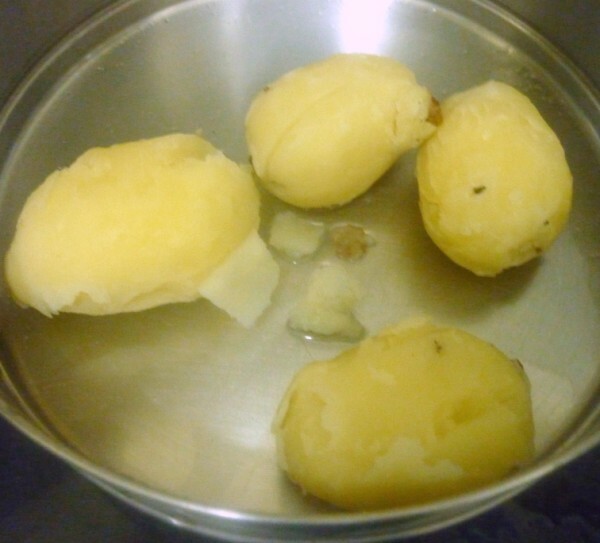 Wash and mark on the potatoes using a knife. Microwave for 8 mins. Once done, soak in water and peel the skin off. 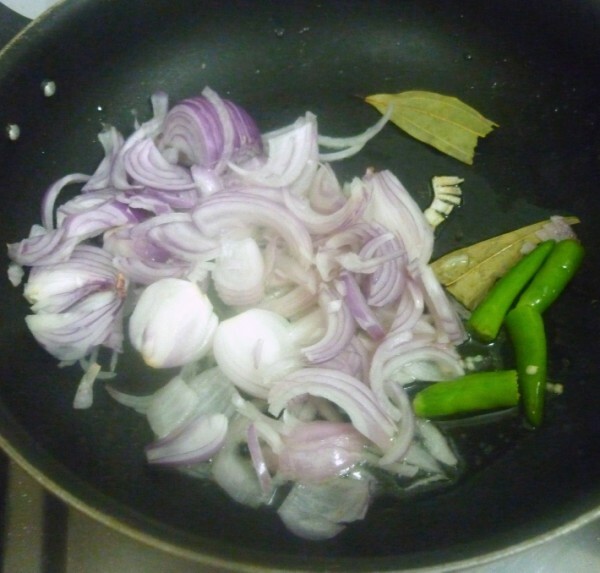 In a non stick pan, heat oil add bay leaf and cumin seeds. When the cumin seeds start crackling add the onion julinnes along with chopped green chilies. Saute till the onions turn brown. 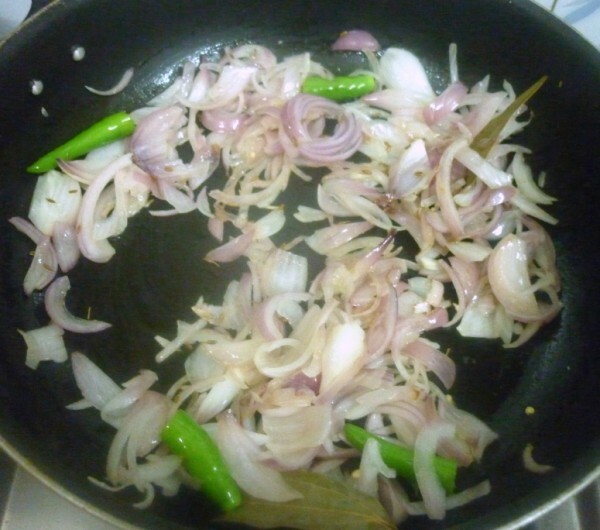 Now add crumbled potatoes, saute well till it is coated with onions. Add all the masalas and combine well. Continue cooking in simmer and add oil if required. Now add chopped tomatoes and cover with lid. This takes about 15 mins to get cooked. Crumble in such way that there are some big chunks left. Perfect combo!!! love all versions of aloo masala!! 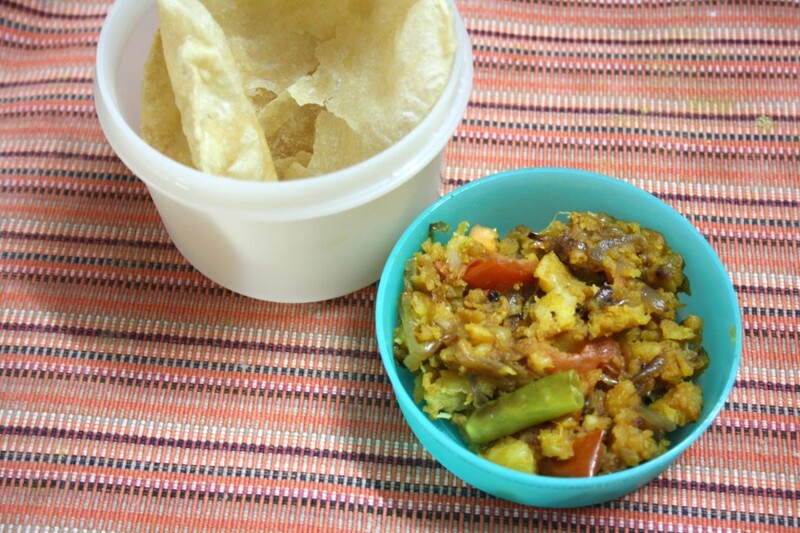 Thanks for the recipe..I tried it today for the dinner along with Puri, it was delicious and my hubby liked it well. It sounds really very easy and love to try when I am in hurry. Delicious Combo!! love this dry aloo..Yummy!! Simple and just what we need. 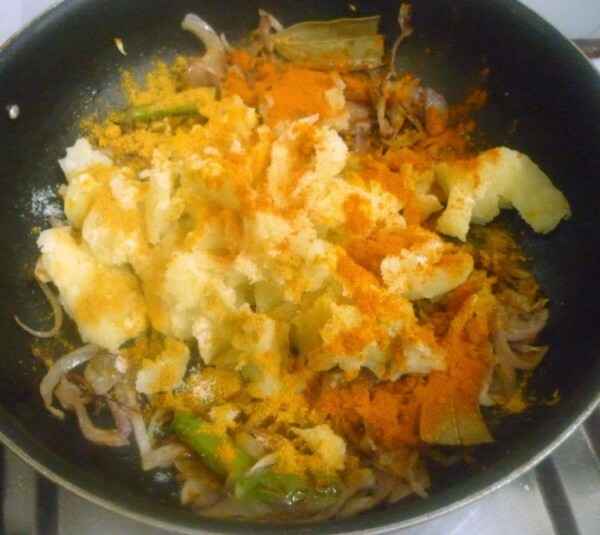 Beautiful dish, love this delicious sabji.